Increased muscular strength & flexibility, Increased core strength, Increased body awareness, Increased mobility and overall agility, De-compresses tight joints, Relieving pressure while aligning the vertebrae, Stimulates lymphatic, digestive and circulatory systems and much more……. Should you choose to participate despite contraindications, please carefully monitor your own resistance. Listen to your body and know you are welcome to stop and be still at any point. Your safety is our very first concern. Who teaches the Aerial Classes? 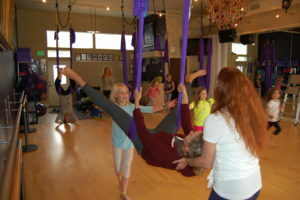 Debra Drake, owner of Studio Move, teaches all the Aerial Hammock Classes. 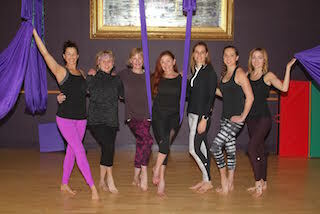 Debra is certified through Christopher Harrisons Antigravity® Fitness Teacher Training and has taken the following courses: Fundamentals 1 & 2, Suspension Fitness 1, AirBarre and Aerial Restorative Yoga. She has also taken the Yogapeutics Level 1 Aerial yoga and Nurturing Pathways (Mindful Movement for Kids) training programs. You are in good hands with Debra. Can anyone take an Aerial Class? 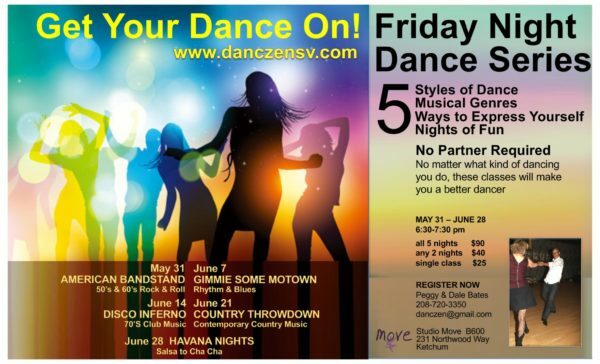 Provided you do not have any of the contraindications listed and are relatively fit you should be able to participate in any of the Aerial classes offered at Studio Move. The classes are easier if you maintain a regular fitness program, can do 10 pushups and have reasonable core and arm strength. Restorative Aerial Yoga is for all levels. Poses in this class are targeted to relax the tightness in the lower back, stretch the connective tissue, open the hips and quiet the mind. No previous yoga experience require. 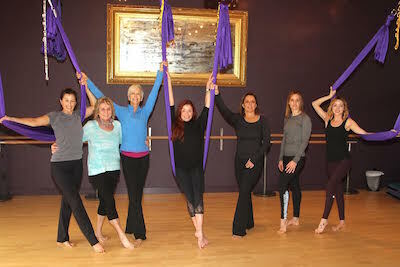 Can I book my own private Aerial Group Session? Students are encouraged to practice in yoga pants, long shorts, or capris, and short-sleeved or long-sleeved shirts (highly recommended for your comfort). Clothing should be non-slippery. No socks, jewelry or perfume, please. Eat a light breakfast or lunch before coming to the Aerial classes. We recommend you have something in your stomach to help prevent possible dizziness. If you do feel dizzy eating some ginger will help settle your stomach. Please drink lots of water after your Aerial Session.